We have all been there before, standing at the kitchen counter crying hysterically like we’ve just lost our cat, but really, we were just prepping for dinner, like paella or braised lamb shoulder. Why do we cry when chopping onions? According to Google, onion contains a gas called propanethiol S-oxide. When it comes in contact with your eyes, they create something called sulfuric acid, which stings and creates tears. Chemistry! The important question is how to chop onions without crying. Here are a few methods to prevent crying when cutting onions. I find that everyone reacts differently and there is no one-fit-all method. Try a few of these and see if they will work for you. Comments below and let me know the results, or if you have a different approach about it. Contact Lenses. This works best for me! I normally wear contact lenses anyway, so this is no hassle. The lenses block the onion’s…what it is again?..oh yeah, propanethiol S-oxide, from reaching your eyes and irritates it. Of course, if you are fortunate enough and have perfect vision, or if you wear glasses, you can try the no-prescription lenses . Pick them in different colors and cook as different alter egos. Talk about spicing things up in the kitchen! Freezing or Refrigeration. My mom uses this method and it always work for her. Prior to prepping, she would peel her onions and freeze it for about 15 minutes, or refrigerate it for about 30 minutes. I think the coldness numbs the onion from releasing any gas. No tears! Wear Goggles. This methodology was never 100% successful for me, but I know people who had received perfect results. Similar to contact lenses, the goggles will block the onion scent from reaching your eyes, therefore no crying. They do make onion goggles but you can also try swimming goggles. Cutting Under your Kitchen Vent. The idea is for the vent to inhale the irritative scent from the onion’s cells, reducing the amount of gas that will be exposed to your eyes. To do this, simply place your cutting board on your stove top, turn on your kitchen vent and chop away. Soak Onion in Cold Water. 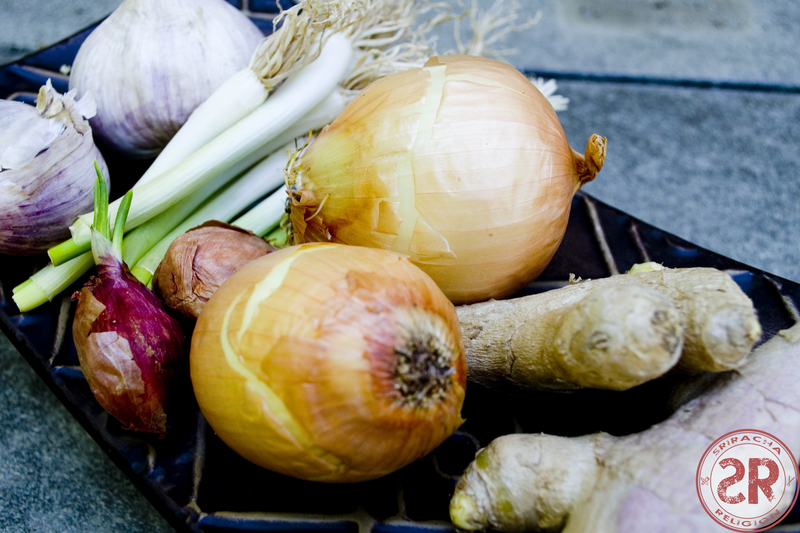 By leaving the onion in cold water, it will weaken and become less irritative. The downside is that you will have a much milder onion, and it will be slippery, more difficult to chop. Be mindful that the onion will also be wet, so if you are to toss it in a hot oil pan, it will splatter. Lightly Char the Onion. Before cooking, gently char your onion on a warm stove. The idea is to use the heat from the stove to extract all the gas from the onion. Charring your onion will also release its natural oil and enhances the flavor of the onion. If you try this method, take it into consideration when cooking, as your onion will be semi-cooked. Rub Lemon Juice on Knife as You’re Chopping. The lemon juice either will masks or numbs the onion’s gas. The downfall is that you will have sour onion. Unless your dish requires lemon juice anyway, I would not use this method. Light a Candle. Turn your prepping process ceremonial by lighting a candle and place it near your chopping board. The candle may masks the smell of the onion, and the fire from the candle is meant to burn off the gas. If it doesn’t work, at least you’ll be crying in a very well scented kitchen. The internet has plenty of other methods. Some of them are a bit bizarre and I doubt they all work. I’d love to hear your feedbacks, send me a message.